Lifting Gear Hire (LGH) has relocated its London depot and received silver accreditation from the Fleet Operator Recognition Scheme (FORS), which is of particular importance for any commercial vehicle operator in the UK’s capital. LGH completed the move from Rainham, Essex to the Crayside Industrial Estate in Crayford over the recent holiday period and was fully operational at the turn of the year. 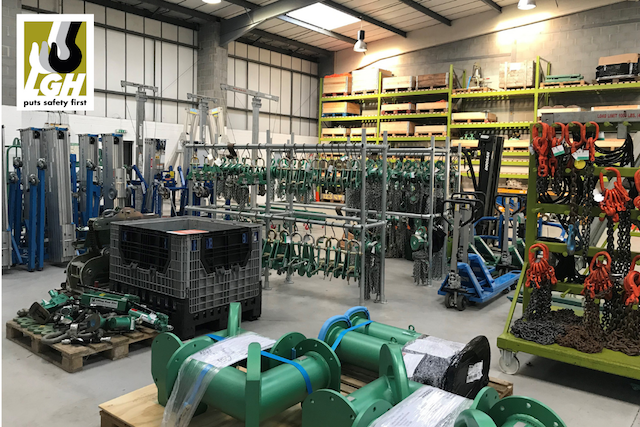 The relocation to the southeast London site aligns with growth strategy and allows the company to stock a greater volume and breadth of lifting, rigging, and safety equipment. LGH has additional sites in Aberdeen and the national rental and customer contact centre in Manchester. Meanwhile, gaining silver accreditation from FORS, a voluntary organisation that promotes best practice for commercial vehicle operators, further establishes LGH in the capital city. FORS is gaining recognition as the transport industry’s go-to accreditation scheme but it is already a prerequisite for any fleet operating in the London area. Silver FORS status confirms that LGH employs good practice and complies with the requirements laid out by the stringent FORS standard. By achieving FORS silver, a company’s fleet is deemed compliant with Construction Logistics and Community Safety (CLOCS) standards and with Transport for London’s (TfL) Work Related Road Risk (WRRR). FORS encompasses all aspects of safety, efficiency, and environmental protection by encouraging and training fleet operators to measure, monitor, and improve performance. LGH boasts an extensive fleet of vehicles, based across the aforementioned UK warehouses. All are fitted with tail lifts and working at height safety barriers, for example.